The Guardian News u.s. north korean conflict Could An American Aircraft Carrier Be Sunk By North Korea? Could An American Aircraft Carrier Be Sunk By North Korea? 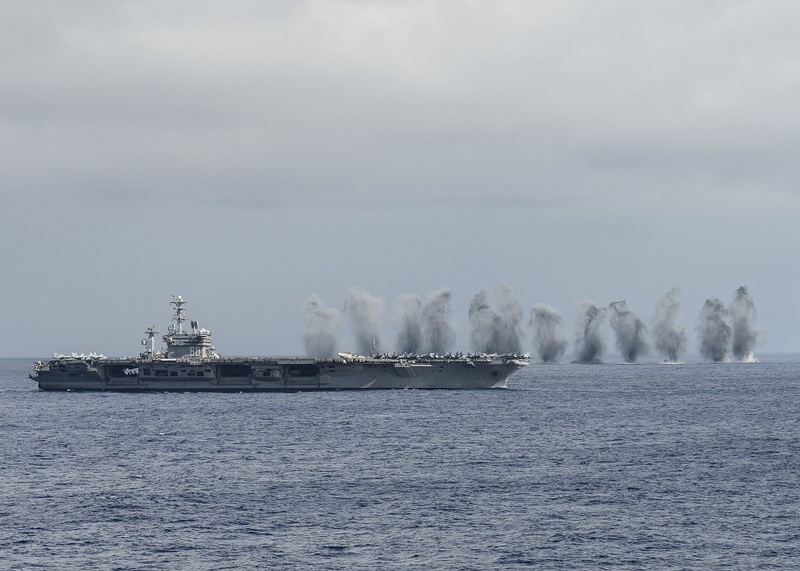 James Holmes, War Is Boring: Could North Korea Sink an American Aircraft Carrier? Could North Korea’s armed forces sink an American aircraft carrier? Yes — depending on what type of carrier they confront, how skillfully U.S. Navy commanders employ the flattop and its consorts, how well North Korean warriors know the tactical surroundings and, most crucially, whom fortune favors in combat. Fortune is a fickle ally, prone to switch sides and back again in battle. 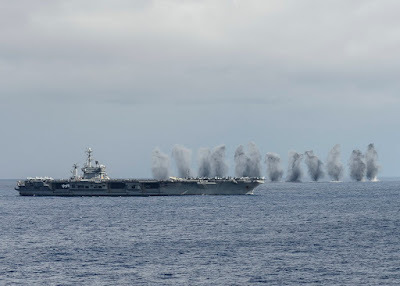 It’s doubtful an American carrier would fall prey to undersea or aerial attack — but only the foolish say never or always in martial competition, a topsy-turvy affair in which the weak sometimes best the strong. WNU Editor: All that it takes is one lucky break .... and in war time anything is possible.